PennsylvAsia: Mazinger Z: Infinity (劇場版 マジンガーZ ／ INFINITY) in Pittsburgh, February 11 and 12. Mazinger Z: Infinity (劇場版 マジンガーZ ／ INFINITY) in Pittsburgh, February 11 and 12. Ten years ago, the villainous scientist Dr. Hell led his wicked followers, known as the Underground Empire, in a struggle to destroy all of humanity. It was against these forces that the young hero Koji Kabuto fought, piloting the legendary super robot “Mazinger Z.” Koji’s victory stopped Dr. Hell’s evil plan and returned peace to the Earth. Now Koji has left the pilot seat behind and become a scientist in his own right, following in his father’s and grandfather’s footsteps. Yet an unexpected encounter deep under Mt. Fuji triggers an even greater threat to mankind than ever before and alters Koji’s destiny forever. With humanity’s fate in their hands, Koji and Mazinger Z face a choice between good…and evil. 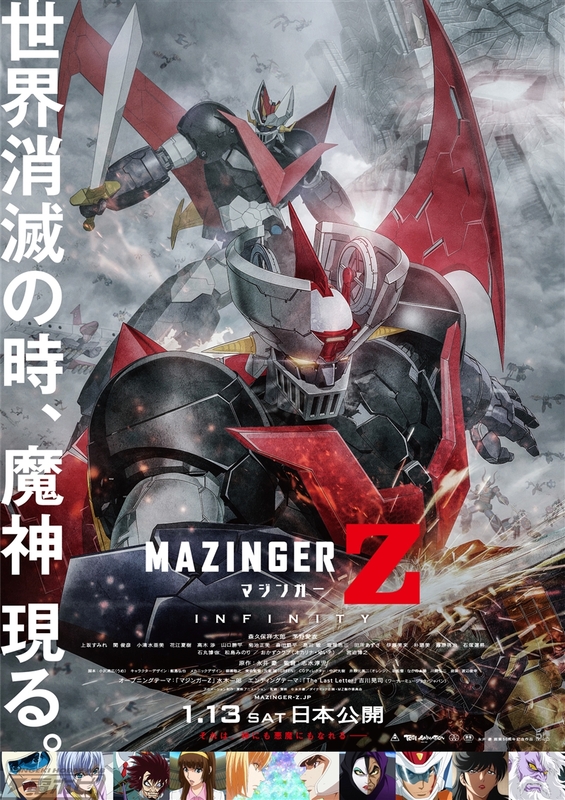 Audiences who attend the English subtitled premiere will also have the chance to receive an exclusive Mazinger Z: INFINITY mini-poster (limited quantities, while supplies last). The movie opened in Japan on January 13. It will play in Japanese with English subtitles at the Cinemark theaters in Monroeville, North Hills, and Robinson at 12:55 pm on the 11th and 7:00 pm on the 12th. Tickets are now available online.